I recently played the Metal Gear Solid: Snake Eater 3D demo, and whilst it is impressive, I do have some issues with it. The visuals are impressive, but the coloring makes it difficult to see enemies you are trying to avoid and tell where there are decent places to hide in case you are spotted by the difficult to see enemies. The demo takes place in a jungle and, as per usual, the enemies are soldiers in camouflage, which caused them to be quite difficult to spot. The controls aren’t bad, but leave something to be desired. The secondary camera is controlled via the face buttons, which can be a hassle if you are trying to avoid enemies, or move the camera while sneaking around. It’s clear to see how the Circle Pad Pro would be an invaluable peripheral to improve gameplay, during both the demo and the final version of the game. All in all, the entire demo played pretty well and provides a great taster of the full experience. I would have liked to have a Circle Pad Pro to test that control input specifically, as I’ve never been a fan of using the face buttons to manipulate a camera. Due to this implementation to manipulate the camera, combat and aiming the pistol can prove a little unnatural; unless you are used to playing games with this particular button layout. Whilst many will have played the PlayStation 2 original, Metal Gear Solid: Snake Eater 3D, despite niggling control issues that seem to necessitate a Circle Pad Pro purchase, marks an impressively strong offering for the Nintendo 3DS during early 2012. 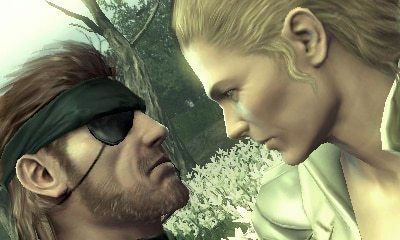 Metal Gear Solid: Snake Eater 3D will release for Nintendo 3DS across North America on February 21st, with a Japan and European launch on March 8th, and the demo of the game is available free to download from the Nintendo eShop.